QANTAS Debate: Cheese-Eating Surrender Monkeys of Australian Jobs | Words, By George! The Coalition’s partial repeal of the QANTAS Sale Act has passed the Australian parliament’s lower house, as the Senate launched a public inquiry into the airline’s finances. MPs voted 83-53 to support the government’s bill, with independent Victorian MP Cathy McGowan siding with the Coalition. At the same time, the Senate with a Labour/Greens majority will vote down the bill, launched an inquiry into QANTAS’ finances and what measures could be used to support the company, including renationalising it or guaranteeing its debts. The debate came after Joe Hockey denied pressuring QANTAS to reverse an earlier position on the carbon tax during a phone call with chief executive Alan Joyce yesterday. Greens senator Lee Rhiannon said she wanted Mr Joyce called to give evidence to the new inquiry and for Qantas’s books to be opened up to examination. “Clearly something has gone wrong with QANTAS — it is vital that we use the Senate inquiry to understand what has happened,” Senator Rhiannon said. In the House of Representatives, Bill Shorten labelled the Coalition a bunch of “cheese-eating surrender monkeys”, a derogatory term for the French. “It’s taken 94 years to build QANTAS; it’s taken the Abbott government 94 minutes to tear QANTAS down. “Shame,” the Opposition Leader said after the vote. The government’s bill would open the door for a structural separation of QANTAS’ domestic and international arms, repealing the 49 per cent cap on foreign investment in QANTAS and removing the barrier to foreign airlines buying more than 35 per cent of the company. Deputy Prime Minister Warren Truss told parliament QANTAS’ foreign ownership limits were “regulatory handcuffs” that must be removed if QANTAS is to remain in Australia and “grow”. “Good government is not about playing favourites or being a banker for major companies when times are tough,” Mr Truss said. In my opinion, good business is not having to come to government expecting bail-outs or debt guarantees. Good business is making a profit while working under the regulatory framework in place at any time. Mr Shorten said even if the bill passed the Senate, it would take years for QANTAS to overcome new regulatory processes that would allow it to raise sufficient foreign capital. In real terms, the bill has little to no chance of passing the senate. Tasmanian MP Andrew Wilkie voted with the Labor Party, while Clive Palmer and Greens deputy leader Adam Bandt were not present for the vote. Again on an issue as important as this, key parliamentarians are absent from the house. Later, in question time, the government attacked Labor for suggesting Qantas’s world-famous safety record could be compromised if maintenance jobs were sent offshore. Mr Abbott described the suggestion as “irresponsible’’ and “reckless’’. “The leader of the opposition is trying to suggest that without the restrictions that exist under the Qantas Sale Act an airline can’t be safe,’’ he said. Independent Bob Katter also questioned the impact on safety of overseas maintenance. “Surely, this must be one whose maintenance is based in Australia, not one whose market advantage comes from a cut-rate cheap jack overseas-based workforce?,’’ he asked Industry Minister Ian Macfarlane. The minister said QANTAS wasn’t the only airline to have a safe flying record. There are other airlines flying in Australia dont necessarily have their maintenance carried out in Australia. Does that make those airlines less safe?. The Treasurer earlier revealed he yesterday spoke with Mr Joyce about the company’s apparent change of mind on the impact of the carbon tax on the airline’s profitability. QANTAS yesterday released a statement saying the carbon tax was “among the significant challenges” faced by the airline, apparently contradicting its earlier position that its “current issues are not related to carbon pricing”. Then Mr Joyce dramatically reversed his rhetoric on the company’s wellbeing, saying the airline was “extremely healthy”, just four months after warning of its possible demise. QANTAS yesterday said it had not been able to recover the carbon cost by increasing fares because of intense competition, while revealing it had cost $59 million in the past six months on top of $106m last financial year. “It is absolutely one of the factors that’s impacting the airline,” Mr Joyce said. QANTAS is more than just an airline. It is an Australian airline, an Australian icon, with firm place in the Australian psyche. The “Flying Kangaroo” is a logo of special significance to all Australians. 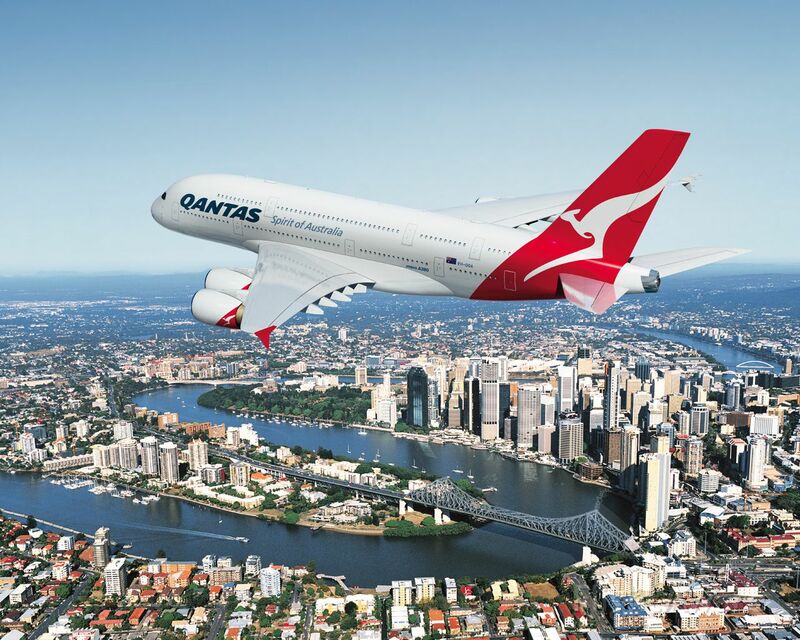 It has been stated that boarding a QANTAS aircraft is like “getting home before being at home”. Mr Joyce being Irish, has failed to realise this. He sees QANTAS in terms of aircraft, infrastructure and staff. As I said before on this web site, Australian business does not support CEOs who lose money and whose comapnies do not turn a profit. They sack them, usually with outrageous severance packages. I believe the axe is about to fall on Mr Joyce, probably sooner than later. Is this legislation likely to be passed into law? I suspect not. Will QANTAS be allowed to to become more efficient? I believe it must, if it is going to remain a competitive world airline. A compromise position must be found. In 2013 QANTAS for the first time has secured a place (8th) in the top ten world airlines in terms of service, value for money etc. All efforts must be used to make the airline competitive.